Our stash of sashes is going to be severely depleted when we hand over those acquired by Beck Brow Hey Now. 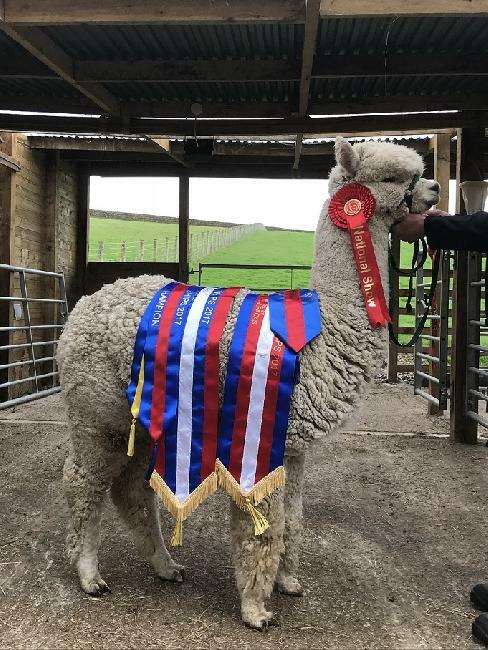 Amongst his accolades are Reserve Champion White Male at BAS National Show 2017, Supreme Champion NWAG 2017 and White Male Champion NWAG 2018. Hey Now is sired by Beck Brow Explorer, an extremely prepotent stud male who is producing champions year after year, and is extremely consistent in his ability to improve any female. His dam is Ep Cambridge Summer Solstice, one of our top females, who is a Wingsong Valley Firedragon daughter we imported from Australia. 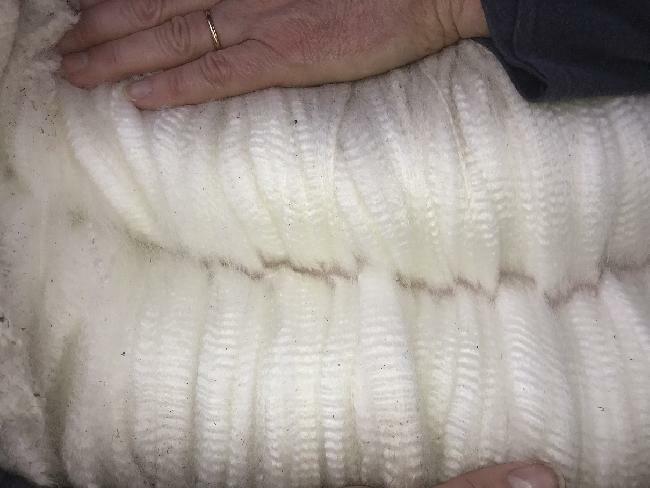 His fleece is fine, dense and extremely well organised. It is exceptionally bright with great length. In fact much like that of his sire. Multi-Championship winner at all levels.